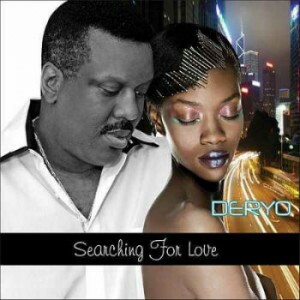 Already established for his roles in classic groups like “The Headhunters” back in the 1970s (and since then working with legends like Carl Carlton and Rick James,) Deryo has been around the block musically. These days he’s flying solo, making his own jams, which he describes as being “funk mixed with pop and r&b.” His solo tracks carry the precision marks of a old pro, with backing music that manages to be creatively quirky in expressing its retro grooviness. I’ve always thought that the test of an instrumental backing is whether you’d want to listen to it even if there were no accompanying vocals. Deryo’s songs easily pass that test, and I can’t help but think how great they would sound on vinyl. His 2013 track, Anytime is an excellent example of this, and I just love the futuristic synth hooks on it, which wouldn’t seem out of place on a Buck Rogers soundtrack. Deryo’s vocals are passionate and delivered with an unpretentious charisma. They are really the driving force in his songs. The lyrical themes are usually positive, romantic and upbeat, though tracks such as I Must Quit convey a sense of melancholic humility. This is in every sense “mood music,” in that it gets you in the mood to enjoy life’s experiences and get in touch with your emotions while dancing to some smooth jams with your significant other…whether in the club or in his/her apartment living room.